Citizens of this country have fought hard to ensure that all residents are treated equally – regardless of race, religious belief or sexual orientation. As such, many laws have been established to back up these developments and organizations created to enforce these laws. As such, a lawsuit was brought against the operators of the Geneva Terrace Apartments in LaCrosse, Wisconsin for discriminating tenants based on race, which has been settled in court, according to the Department of Justice. 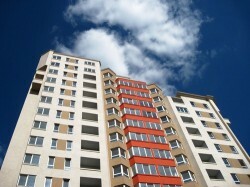 The manager and owner of the apartment complex will pay $57,500 in a settlement. The lawsuit alleged that Nicolai Quinn, the manager of the property, told African-American residents that were seeking housing that there weren't any vacancies when there were. Additionally, Quinn told white residents at the same time that there were rooms available. The African-American couple that wanted to rent a room in the complex filed their complaint with the Metropolitan Milwaukee Fair Housing Council, resulting in an investigation and the discrimination charge. "Nobody should be denied housing in this country because of their race," Thomas Perez, assistant attorney general for the civil rights, said in a press release. "The Fair Housing Act prohibits discrimination in housing on the basis of race, and we will continue to vigorously enforce the law to ensure access to housing regardless of the race of an applicant." In many cases, most of the available information may come from depositions, testimonies or hearings rather than hard evidence. 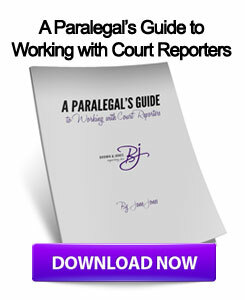 In such a situation, it becomes even more critical for lawyers to partner with a realtime court reporter that can provide accurate transcripts of these meetings. Milwaukee court reporters that offer video deposition services can be of increasing value in these cases as well. This entry was posted on Friday, November 30th, 2012 at 10:03 am	and is filed under All Posts, Wisconsin Legal. You can follow any responses to this entry through the RSS 2.0 feed. You can skip to the end and leave a response. Pinging is currently not allowed.